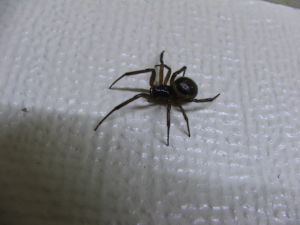 Observation - False Widow / Biting Spider - UK and Ireland. Description: found crawling around the the kitchen. found crawling around the the kitchen.